When you are going to take an educational tour in Branson at some of the fascinating attractions you’ll truly appreciate the fun and excitement while at the same time learning many things. Some of the attractions in Branson that provide visitors educational experience include Sight and Sound Theater, Butterfly Palace and Rainforest Adventure, Titanic Museum, and Talking Rocks Cavern. The Sight & Sound Theatre in Branson features a stunning display of aesthetic beauty and state-of-the-art entertainment technology that provides one of the most amazing theatrical productions the world has ever seen. This $60 million theatre is the most luxurious theatre in Branson and one of the premiere theatrical venues in the world. The theatre can accommodate up to 2,000 people at each show. Many of the shows presented in this theatre not only give fun and excitement to guests but also provide learning experience. With a combination of theatrical music and a faith-based message to deliver Christian beliefs, Sight and Sound Theatre has become one of the world’s leading stages to deliver many of the stories from the Bible. Opened its doors in 2008, the theatre has shared some of their award-winning shows that include Moses, NOAH—The Musical, Joseph, and Jonah. The theatre is tucked against the mountains overlooking the countryside and forests of the Ozarks, providing everyone a breathtaking view of the beauty of mother nature. At Sight and Sound Theatre, you will discover the fantastic story of Moses. Learn the story of Moses as he parts the Red Sea and frees the Hebrews from slavery. You can watch in awe, as the theatre combines state-of-the-art production, special effects, fantastic showmanship, and Biblical facts together to create one of the most inspiring shows in the Ozarks. Noah the Musical is another bible story that offers an accurate re-telling of the story of Noah’s Ark. The production show is complete with on-stage ark, live animals, and an overall intricate set design to make it one of the most immersive experiences in Branson. 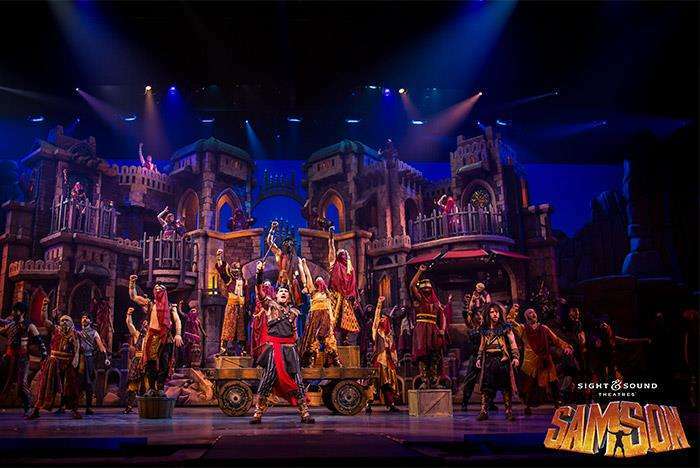 Joseph is an engaging and memorable production show at Sight and Sound Theatre that the whole family will love as it tells the biblical story of a boy who faced incredible life experience and adversity but later triumphed with the grace and mercy of God. The show comes alive with amazing stage performances coupled with live animals, brilliant costumes, heart-warming musical scores, choreographed dance numbers, and so much more. Jonah is another fascinating bible story that is set 700 years before the birth of Christ. This biblical story of Jonah and the Whale is sure to inspire and wow audiences. When righteous Jonah refused to obey God, he encountered on his journey an enormous sea creature and devoured him. Even with Jonah’s disobedience and betrayal, God has given gracious mercy and love to him. Butterfly Palace and Rainforest Adventure is an interactive attraction that offers educational tour in Branson. With features of many different areas to explore, the Butterfly Palace has so much more to enjoy and learn about those stunningly beautiful, fluttering creatures. You’ll get to see inside the palace a blue-eyed skink, gorgeous birds, fascinating tree frogs, and geckos. You’ll also appreciate the lush greenery and the exquisite flower beds around the garden. Once you are inside the facility, you’ll certainly want to take advantage of each unique area of the Butterfly Palace. You’ll find helpful staff members throughout the place who are there to assist you and answer questions that you need to ask. The facility features Rainforest Theater that provides a little education along with a whole lot of entertainment on its 45 minute documentary about the fascinating Monarch butterfly, as well as a 15 minute 3-D film on the life of a butterfly. You can also watch a video that tells all about one of the butterfly farms in Costa Rica where some of the butterflies come from there. The Butterfly Palace also features Butterfly Aviary which is beautifully filled with lush greenery, tropical plant life, and beautiful birds, with colorful butterflies flitting and flying about – it’s common for some of the beautiful creatures to rest on you. You’ll find also inside the facility Emerald Forest Mirror Maze that will have you questioning where’s the right direction as you wind your way through; this is a maze that replicates what it’s like under the thick canopy of tropical growth in the rainforest. You’ll find also the Living Rainforest Adventure where you’ll discover all sorts of critters, like giant cockroaches, poison dart frogs, salamanders, and chameleons. There’s also the Banyan Tree Adventure, where you’ll find the Magic Pond, and you can climb all around the twisted roots of an authentic-looking replica of India’s national tree, the Banyan. The “Titanic Museum Attraction” in Branson is always included in the list of favorite places to visit whatever the season is. Now celebrating its tenth year, Titanic Museum is not simply a museum, it’s an interactive attraction that shares the stories of those who were onboard the famous luxury liner that has baffled the world for more than a century. Those who lost their lives, as well as those who survived, are memorialized in the displays, special events, and holiday celebrations held throughout the year. The museum offers a wonderful two-hour tour which includes walk-through interactive experience for the whole family. It’s entertaining and educational and features everything from authentic artifacts to news coverage from the time of disaster, to personal items from families and loved ones of those who were aboard the popularly known ocean liner RMS Titanic as unsinkable. Guests are given the chance to play the Titanic Baby Grand Piano, a visit to the bridge, dip a finger of an 28 degree water and touch a real iceberg. Talking Rocks Cavern is a great place in the Ozarks region where many of its visitors come to experience a fascinating educational tour in Branson. A “must see” attraction just minutes away from Silver Dollar City in Branson West, Talking Rocks Cavern requires no reservations to visitors. 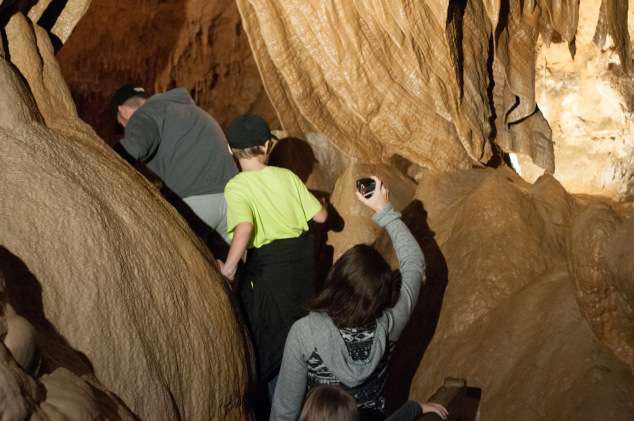 This fascinating cave has been a vital and long-standing part of Branson’s history. Explored by millions of visitors, the cave features incredible landscape of glistening crystals and mystifying rock formations. This place is not only a gift of nature, it is also considered an engineering marvel due to many man-made embellishments such as the concrete steps along the pathways and the creative lighting installed to enhance the dramatic entrance to the cave. After seeing many incredible things with the underground cave tour, you can enjoy above ground fun as well. From beautiful hiking trails and many tree-shaded picnic areas, you can experience a relaxing atmosphere and soak in the beauty of nature in the Ozarks. As you take a tour adventure with the Talking Rocks Cavern, you can participate in gemstone mining and take some treasures home. If you are a sports enthusiast, you can try out the 9-hole Cave Country Miniature Golf Course. Open year round, seven days a week except Thanksgiving and Christmas, the cave is a wonderful place to learn about the cave while having fun.